Just last Wednesday, I was home sick from my 9-5 (more like 9-6) because I was under the weather. After feeling extremely weak and not like myself for a few days, once I felt better I decided to play dress up with some items from Tobi! This spring, NYC weather feels like it fluctuates by the minute! I usually get up and check the weather app just hoping and praying for good weather, but it changes throughout the day (insert sad face emoji). Although it may not be time to wear all my new spring/summer outfits outside, I really enjoyed trying on brand new pieces with no where to go. Girls, you understand! 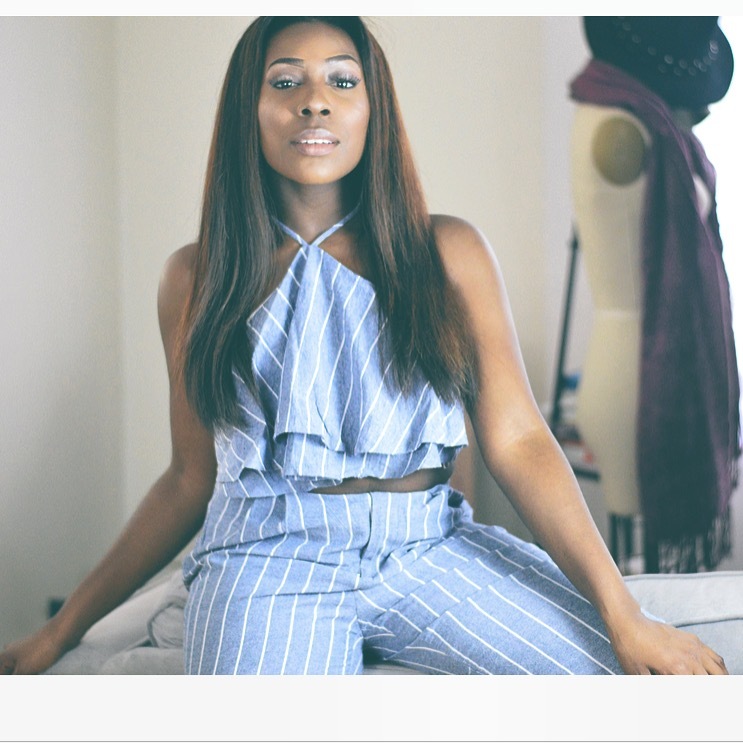 The first outfit, I tried is the Tobi On Trend Jumpsuit! I am such a sucker for a two piece set. It’s so easy to choose a set/one-peice as your outfit of the day or night. 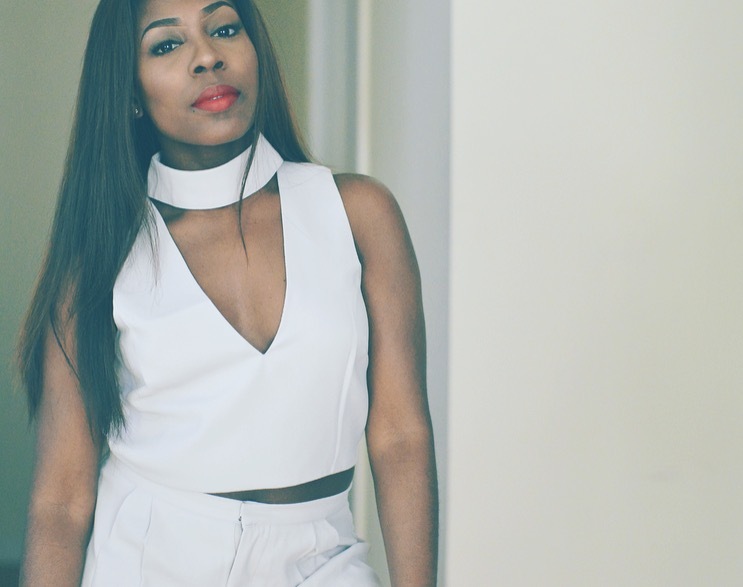 I paired this two piece pant and top set with my white Public Desire Peep Toe Mules . Next up, I tried on this cami. Depending on the fabric, they can definitely transfer from day to night. 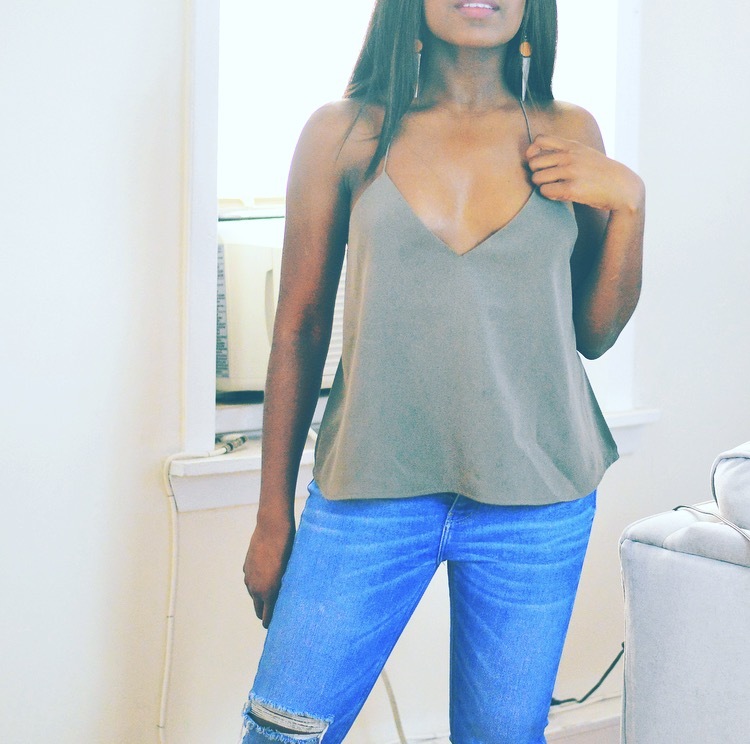 I am loving this Tobi Break Free Open Back Cami because whether you pair it with nice pair of denim jeans or dressy pants it will work! For me, I decided to pair it with my Zara Slim High Waist Jeans and basic flats. Lastly, who doesn’t love a choker top. I just feel that they are extremely edgy and stylish. Whether a top or dress, if they include a chocker, I automatically feel that it calls for heels! To give it some extra edge, I decided to wear my Urban Decay Bad Blood lipstick. I love a pop of color and I def. 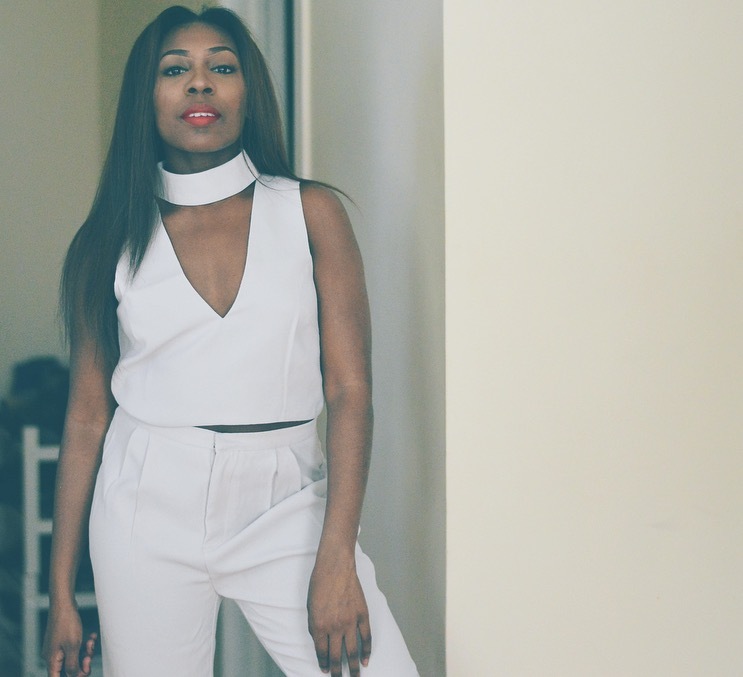 feel that this lipstick gave this Tobi All About It Choker Jumpsuit Set an extra oomph! 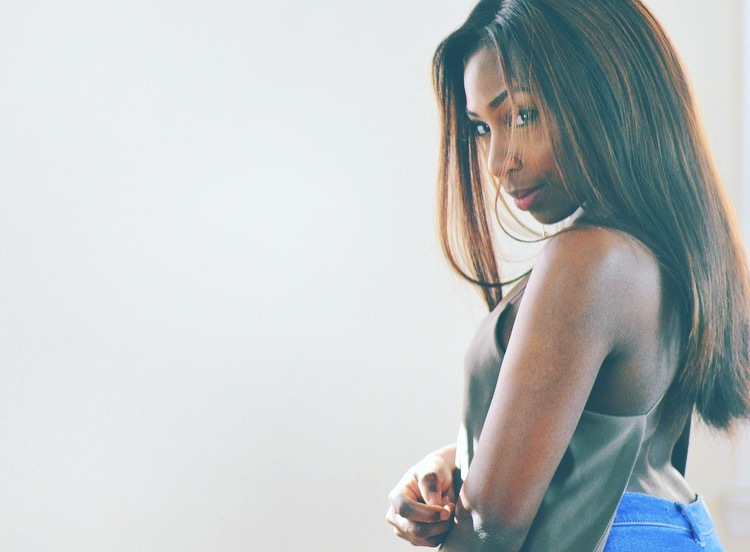 I know I’m not the only one who plays dress-up as a whole grown adult…haha! It’s honestly so freeing. I honestly love all these pieces and felt like I was back to myself. After all, I did miss real clothes. I got tired of the pajamas! « OH, MY MULES! – 5 PAIRS THAT I’VE BEEN LOVING!